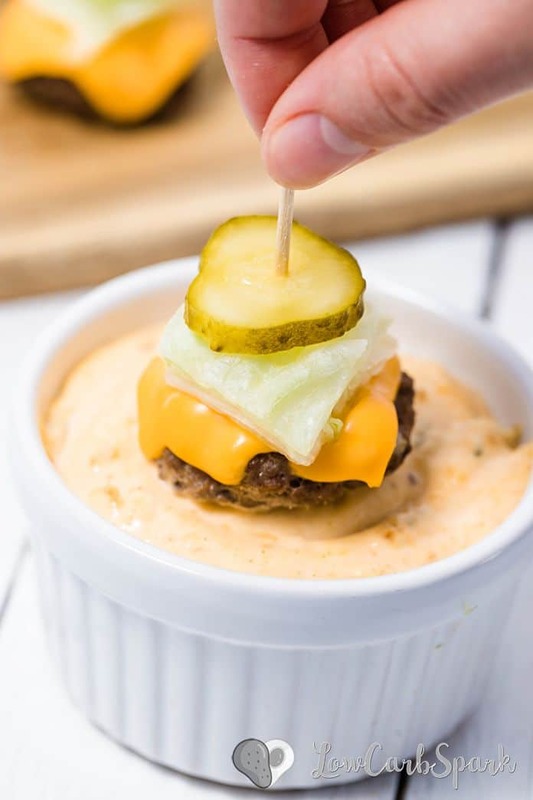 These delicious mini cheeseburgers are baked in the oven and served with the tastiest big mac sauce. They’re so easy to make, perfect for a party or game day as appetizers. Everyone will love these bite-sized snacks completed by a flavourful special sauce. I made these mini cheeseburgers last night, and I was surprised to see that everyone was impressed as they were gone within minutes. The meat is juicy and moist, the veggies are fresh and the sauce..oh the sauce. 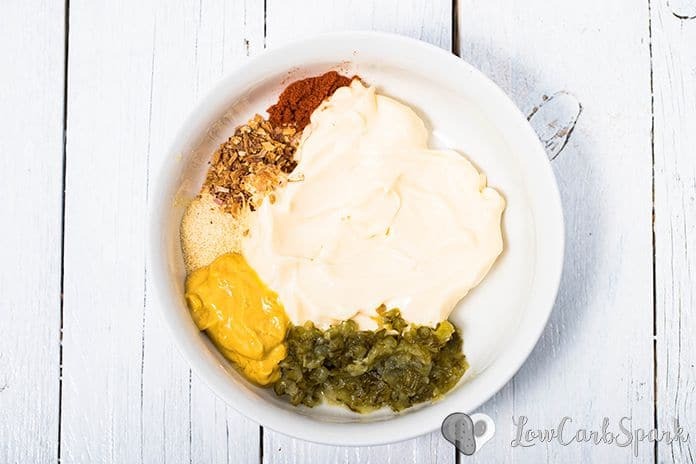 I think we’re obsessed with this creamy, tangy Big Mac Sauce – and it’s hands down the perfect low carb burger sauce. 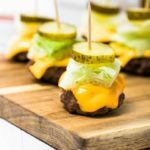 To make this fantastic cheeseburgers-on-a-stick you’ll need a few ingredients, and in less than 30 minutes you’ll have some insanely tasty appetizers. These are bunless burgers, but you can use my almond flour buns recipe and turn them into real juicy cheeseburgers you can hold with your hands. The possibilities are endless. 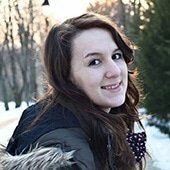 Just get creative! 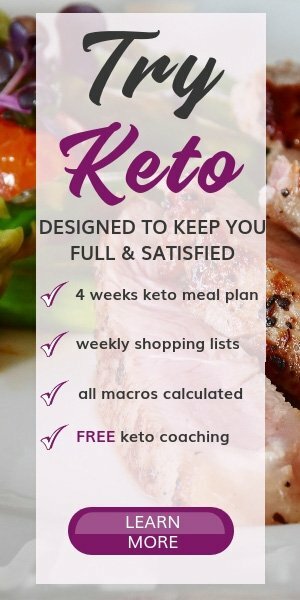 How to Make Keto Mini Cheeseburger? The instructions are reasonably easy, and kids will love assembling the burgers. Start by making the mini burger patties. Combine all the ingredients and form 16 small burgers. Bake the burgers. Bake them for 15 minutes at 400F. Make the special big mac sauce. Combine the ingredients for the sauce and set aside. 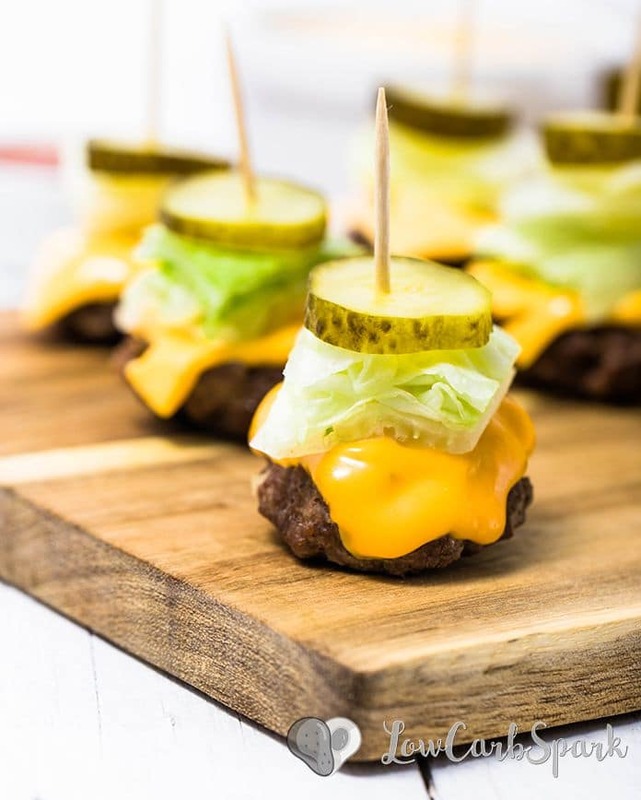 Assemble the cheeseburgers bites – Top the hot burger patties with cheese, lettuce, pickles and run a skewer through to keep all the ingredients in place. Enjoy the mini burgers drowned in big mac sauce. Pickles are fantastic to eat on a ketogenic diet since they are made out of cucumber with is a very low carb vegetable. Most store-bought pickles jars are loaded with sugar, so make sure you are reading labels to avoid hidden sugars. In a large bowl add the beef, mustard, chopped onion, salt, and pepper. Using a wooden spatula or your hands, mix to combine. Don’t overmix if you want juicy burgers. 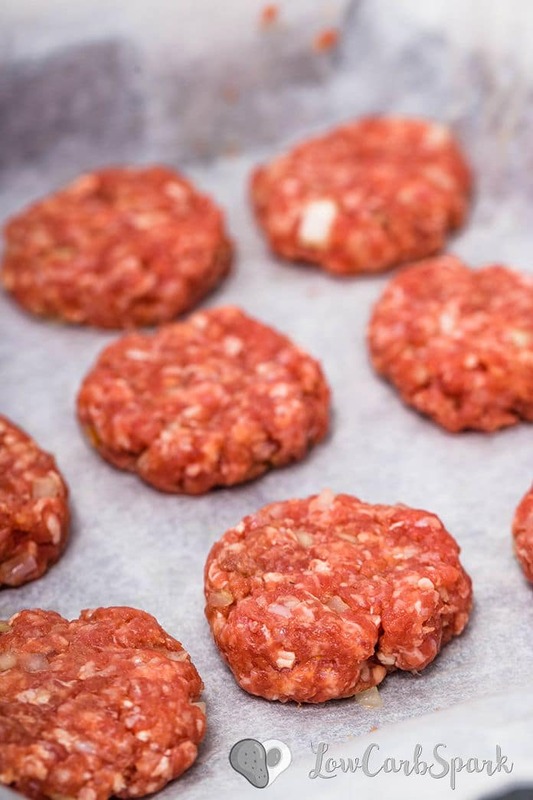 Roll about 1 ounce of meat into small little burger patties. Try to roll them bigger than you want them to be, as they will shrink while baking. Place the burgers on a pan lined with tin foil or parchment paper. Bake for about 15-20 minutes. Meanwhile, prepare the special big mac sauce. Add all the ingredients into a medium bowl and stir until well combined. Cut each slice of cheese into four rectangles and place over the hot mini burgers to melt. 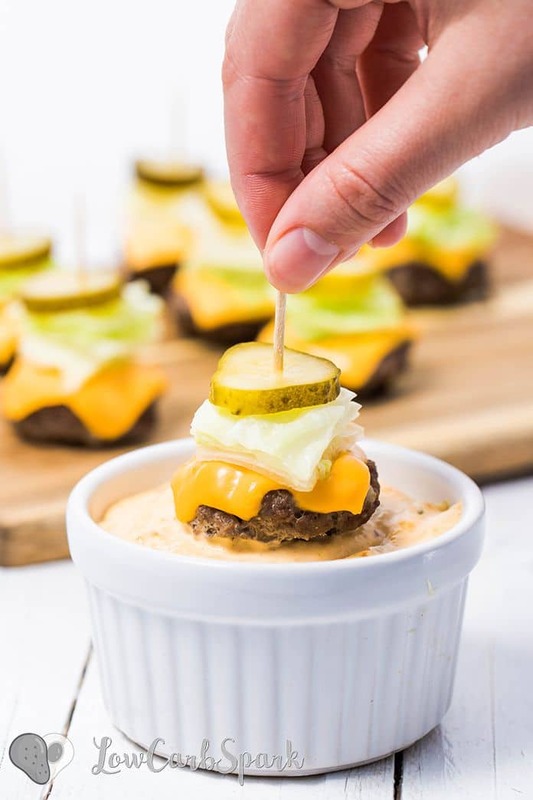 To assemble the mini cheeseburgers use a few toothpicks. 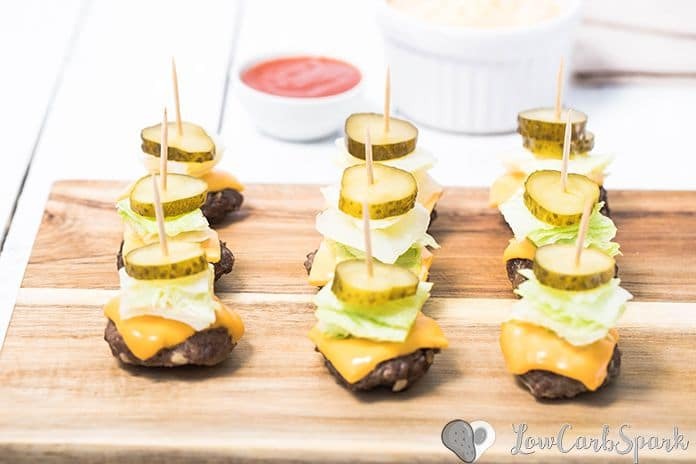 Place some lettuce and a dill pickle slice on top of the mini cheeseburgers and fix them with a toothpick. Serve with the big mac sauce. Serving size is two mini burgers and 2 tbsp sauce.